One of the hottest new golf balls coming out this year is the Callaway Hex Black Tour and after testing them out, I have to say they are living up to the hype. Well, THP wants to give a year’s supply to a lucky forum member in this contest that should be a lot of fun. A year’s supply of Callaway Hex Black Tour golf balls. The winner will get 12 full dozen personalized for you by a Callaway Staff Pro at the Players Championship. You. 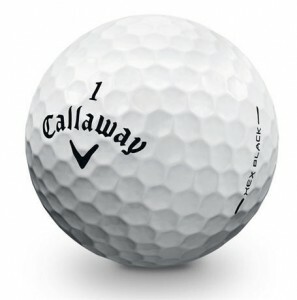 A Callaway golf ball. Your Camera. A strange place. The good folks at Callaway have donated 12 dozen HEX Black Tour golf balls to THP for us to do what we please with them. Since we had so much fun with the recent RAZR Fit Driver contest, we’re going to do something similar. We want you to submit a photo of you and a Callaway golf ball in the most unique place you can imagine. The winner wins all 12 dozen of the newest Tour ball now being played by Callaway staff members on Tour. So blow our mind. Rock our world. Make it funny. Make it interesting. Make it a photo of you on the Great Wall of China. Put your ball under your drink umbrella. Whatever. Please remember that THP is a family friendly community. We’ll give the winner’s name to Callaway and one of their staff pros will sit down and decide how your 12 dozen HEX Black Tours will be personalized. And if 12 dozen isn’t a year’s supply, there are two possibilities: 1. you play WAY too much golf; 2. you play too much bad golf. 12 dozen or 144 or a years worth of Callaway Chrome or HEX golf balls. Just for one creative photo. Thanks to Callaway and Hackers Paradise for this awesome contest. Very cool contest brought to us by THP and Callaway Golf!! Now, to just find some creative juices and get them flowing. This one is going to be so much fun, Thank you Callaway and THP for the great contest. Now to get my thinking cap on. Awesome contest. I’ve gotta try these balls out. Heard a ton of positive feedback here about them. Hands up those who nodded their head after reading the “too much bad golf” quip….yeah, me too. This sounds cool….time to get creative, and find a camera! Awesome contest, cant wait to get the ideas flowing for this one. This is such a cool contest! Thanks Callaway and THP!!! Thanks THP and Callaway Golf for keeping us on our toes! It’s all a matter of deciding which picture to use. And I’m going to add more to the mix as I’m taking more tomorrow! any prize for the correction lol?